Zanya is a beautiful handwriting typeface created by Carine de Wandeleer and published by Eurotypo in 2012. 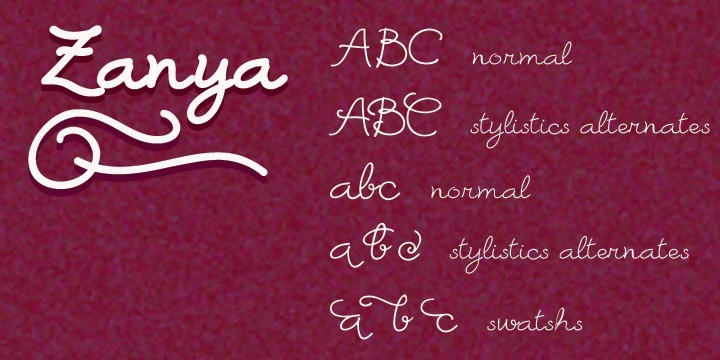 This is a special children handwriting font … play with Zanya, you’ll love it! A font description published on Friday, November 9th, 2012 in Carine de Wandeleer, Eurotypo, Fonts by Alexandra that has 4,248 views.